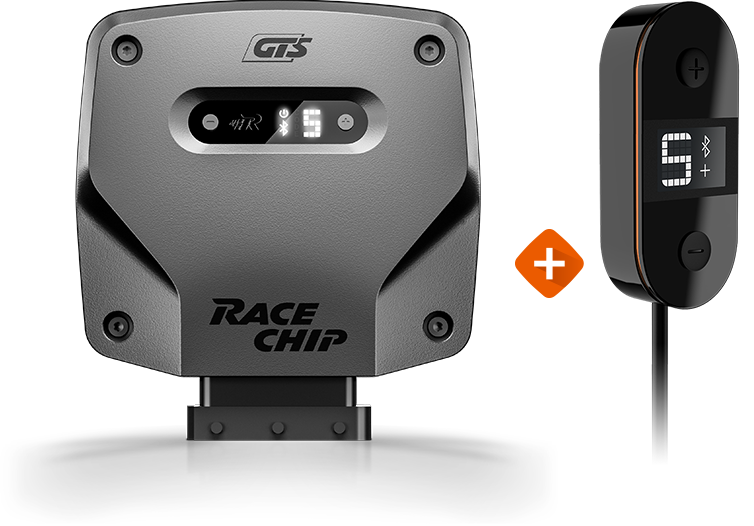 The RaceChip XLR is installed between the throttle pedal sensor and the engine control unit. Depending on the XLR’s tuning stage, it either amplifes or reduces the signals sent by the throttle pedal sensor in accordance with characteristics defined by our engineers. The effect is that you can choose how your car reacts to your throttle inputs. 2 Sport (S, S+) and 2 Race stages (R, R+) sharpen throttle response, speeding up the engine’s reaction times, making it as reactive as even a sportscar’s. 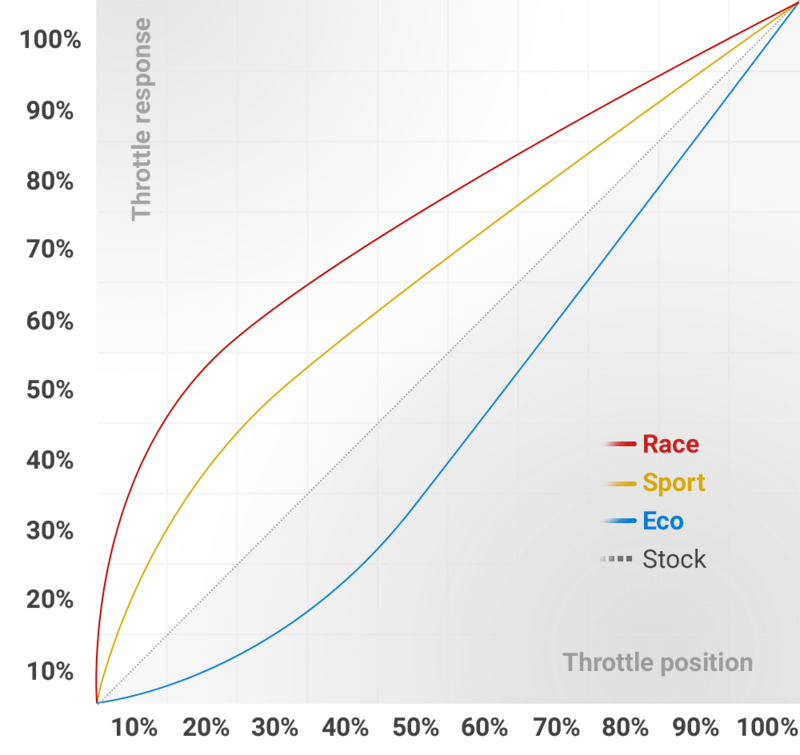 2 Eco stages (E, E+) slow down the engine’s reaction to movements of the throttle. In heavy city traffic and on long journeys, this can help you reduce fuel consumption. You can select N if don’t want or need to use XLR, and your car is back to stock tune. RaceChip XLR is available for any car equipped with an electronic throttle, regardless of whether the engine is naturally aspirated, turbocharged, supercharged, electric or hybrid.